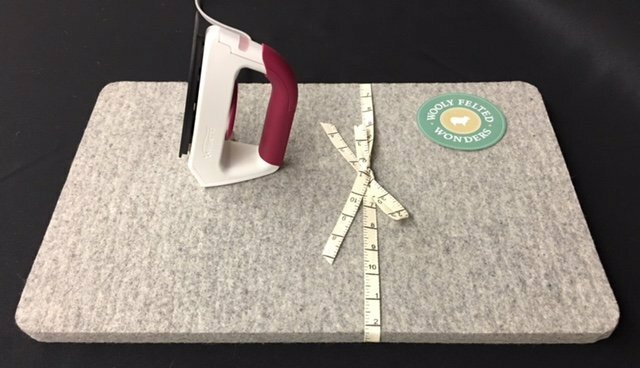 These 100% Felted Wool ironing mats are 1/2" thick and Made in America!. The dense wool absorbs the heat so it's like pressing your blocks from both sides. And the ironing mats are so thick, the heat doesn't transfer through to the surface underneath.